Calling all football fans! You don’t have to miss the big game while you are staying with us. The NFL Pro Bowl is coming up on January 29th and the Now Entertainment Teams are getting ready for tailgating and viewing parties on the beach! 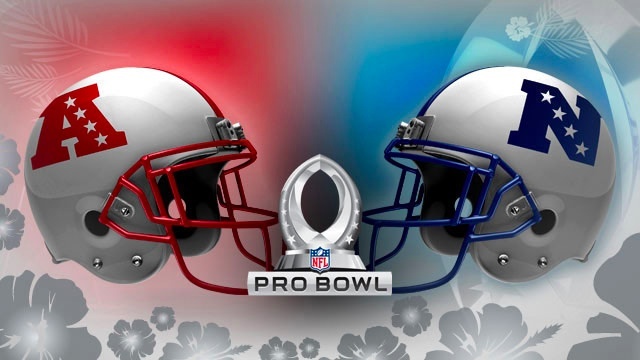 The 2012 Pro Bowl will broadcast from the Aloha Stadium in Honolulu, Hawaii. This is an exciting annual game that challenges the best players of the American Football League and the National Football League. Now Jade and Sapphire Riviera Cancun and Now Larimar Punta Cana will be serving up your favorite American tailgating food such as hot dogs, hamburgers, popcorn and potato chips. Our Entertainment Teams are also gearing up for Super Bowl XLVI on February 5th . Cheer on your favorite team while watching the game on a large screen on the beach. Imagine the sand at your feet and our staff serving cold drinks during the game. We can’t wait to cheer our favorite NFL players with you. See you soon. This entry was posted in Now Jade Riviera Cancun, Now Larimar Punta Cana, Now Resorts & Spas, Now Sapphire Riviera Cancun and tagged Activities, Dominican Republic, football party, Mexico, resort entertainment, resort events, Unlimited-Luxury. Bookmark the permalink.